The decision has been made to sell your home, there's a lot to do, so now what? Start by focusing on the little things that will make the biggest impact at showings. There are a number of affordable things that can be done to improve your home and properties appearance. Staging a home can minimize any flaws that may exist in a home, and professional stagers will bring out the best qualities that a home has to offer. Be sure to not take this part of the process personally, as a seller has now made a business decision to move forward in the selling process. The moment a seller commits to marketing their home for sale is when that mindset must also commit to transforming that home into a place that potential buyers can easily picture as their new home. Sellers need to be prepared at this point to emotionally detach themselves and all their emotional memories that are home and property driven and connected, as those emotions and memories have great intangible value for the seller, they will offer no tangible value to the sales and marketing process nor from a potential buyer. Buyers tend to label the homes they see, as do agents who show properties. A seller will want to evoke positive emotional reactions from a buyer who tours the property, the more distractions that are eliminated the better. Having a home full of clutter may suggest to a buyer that your home doesn't measure up to properties they've already toured. Naturally our daily lives involve a certain amount of clutter, like the little stack of mail, magazines, car keys, and loose change where we charge our phones, or anything that may be residing on tables or counters that would be a good "junk drawer" candidate. All surfaces within a home should be clean and devoid of anything extra that detracts from their space, as crowded surfaces will make them appear smaller or more confined. All of that material serves as a distraction to a buyer, who likely may be thinking that all of this "stuff" lying about means that the home doesn't offer enough space, which is definitely not the message any seller wants to project to a potential buyer. Preparing and maintaining a home for sale is certainly an inconvenience, especially the maintenance portion where a seller may feel they're living in a museum; where everything is clean and neatly in its place. Hotel clean and orderly is the goal to begin marketing activities and showings. The sellers daily routine will also certainly be affected, especially when showings take place where the home must be vacated. For the majority of sellers, selling a home in the shortest period of time for the most money possible is the goal, when a home shows well and is priced competitively in its market this part of the sales process will be short term pain for longer term gain. You have a beautiful, clean, and in demand home, so why would you want to invest in staging it, especially if you're in a Seller's Market? Our homes are representative of who we are; they are essentially life-sized memory books of our lifetime experiences to date, our travels, likes, dislikes and beliefs. They showcase our stuff that we've accumulated over time that speaks to and is important to us. The goal of staging is to make a sellers home now generically speak to everyone else, in a compelling and positive way, all while promoting value to the home. Home buyers are shoppers, and they tend to select homes based on curb appeal and first impressions; which is exactly why home staging is so important. A staged home has a higher likelihood of creating an emotional chord with the buyer, increasing its attractiveness and desire for the buyer to make an offer on it. A staged home helps buyers envision themselves living in the house as their own, enabling them to see the "Forest for the trees" for their own possessions and creating a lifestyle they desire while living in the home. Staging makes a house appeal to the greatest number of potential buyers, and helps make it feel like a home, a home a potential buyer would love to move into. Buyers remember staged homes better and walk away feeling a greater connection with the home. A staged property will certainly photograph and video better than an empty home, making for much stronger and compelling marketing materials to attract buyers. Given photographs of empty property and staged property, a buyer is likely to be much more attracted to desire a showing of the staged property. In a competitive market, with many homes to choose from, there are certain features that buyers generally look for; they like to see a very livable home that will impress their friends and relatives. Home staging can make an ordinary home look extraordinary, which is exactly what buyers are looking for, no matter what price range the home is in. The benefits of home staging can be enjoyed by anybody that is trying to sell a home. With a competitive market Buyers Market, sellers certainly need all the advantages they can get over their competitors. Value for sellers while in a Sellers Market is a faster time to go under contract and an increase in sales price. Staging your home is always an affordable option that assists sellers in maximizing their potential sales price, as the relatively inexpensive cost of home staging is easily offset by a higher selling price of the house. Empty homes, homes that have been on the market for a prolonged period and have grown stale and are in need of a new look, or homes that are located near challenging surroundings are all good candidates for home staging. If you're interested in learning more about staging your home or would like a staging consultation, be sure to contact us for a referral and we'll be happy to provide you a partner contact. Preparing a home for sale can be an arduous and time consuming process, some sellers may hire cleaners, home stagers, or a professional organizer to assist in pre-sales preparation. Others prefer a more hands on approach, and getting a home sparkling and clutter-free requires little more than elbow grease and time. After throwing, clearing, or packing away clutter, polish all your hardwoods, dust and clean your countertops, shelving, appliances (don't forget about refrigerator tops and fan hood undersides), bathrooms (don't forget about your bathroom ceiling fan, it's amazing how dusty and dirty those get over the years and nearly everyone forgets to clean them), ceiling fans or skylights, corners of rooms that may contain cobwebs, and dusting light fixtures (make sure to remove any ceiling light globes to clean out debris and dead bugs that may have been collected over the years). According to DoItYourself.com a stainless steel sink can be brought back to a healthy and clean shine with thrifty cleaning remedies such as baby oil or club soda. Interior wood finishes can be made to look like new by using products like Restor-A-Finish by Howard Products, this is available in several wood finishes and can be used to polish cabinets and even blend out minor scratches and imperfections. Box it up. Most people pack up after they sell their house, but why wait? Sellers should start packing as early as possible, ideally before the home is placed on the market, and materials can be safely stored offsite or with a POD to insure the property shows as clean an un-cluttered as possible. Show off the laundry space or room. Buyers will be impressed if the laundry room is fresh, inviting, and organized; make sure all light bulbs are working, and store soaps in a cupboard or line them neatly on a shelf. Focus the buyers attention, choose a focal point for each room. For example, the focal point of a bedroom is usually the bed, and for a music room, it’s the piano. If a room is mostly empty, you can help draw attention to a corner with a plant or mirror. Hardwoods are on most buyers’ wish lists, hardwood flooring can average about $5 to $15 per square foot, plus an additional $2 to $8 per square foot for installation; so it’s pricier than vinyl, carpet, or other options, but it can make a huge difference. Less expensive hardwoods may be found by going directly to installers, who buy their inventory wholesale; for a small area, making the upgrade won’t be as expensive. To imitate the look of hardwood for less, try vinyl or Bamboo flooring, a sustainable resource that resembles wood but averages roughly $4 to $6 per square foot. Add a layer on top or bottom to your floors. An additional option for lackluster flooring: Use an area rug, even over carpets; where they’ll add a splash of color and bring definition to living areas. Should inexpensive carpeting be added to replace old, damaged, or worn out carpeting; consider upgrading the carpet pad as generally it’s only about 50 cents more per square foot and it will make a budget carpet feel luxurious. Call the experts. Dirty, worn carpet may benefit from a professional cleaning, to restore life and color before going to market. Some professional carpet cleaners can also clean tile to assist in restoring the original grout color if it’s turned into a dirty gray or black, and they can clean bathroom and shower tile or shower glass to remove water stains or scale. Slow draining sinks, nagging faucet drips, or sink leaks under cupboards can all be easily remedied by a trip to the home improvement store or by calling a plumber. If an electrical outlet or switch hasn’t worked in some time, now is definitely the time to have that checked by an electrician and to insure your home is up to date with GFCI protection in the kitchen, bathrooms, and electrical panel. Clear all unnecessary objects from the furniture throughout the house, keeping accessories and objects on the furniture restricted to groups of 1, 3, or 5 items. In general, a de-cluttered home will assist buyers into mentally “moving in” with their own belongings. Rearrange or remove some of the furniture in the home if necessary to insure clear pathways into and around rooms. Many times owners will have too much furniture within a room, keep in mind that when it comes to selling your home, thinning out overcrowded rooms appears to make rooms appear larger. Clear all unnecessary objects from kitchen countertops, dinner tables, and end tables. If it hasn’t been used or touched for three months, put it away or box it up. Clear the refrigerator front doors of all messages, magnets, pictures, and anything else that is attached. In the bathroom, remove any unnecessary items from the countertops, tub, shower stall, and commode top. Keep only the most necessary cosmetics, brushes, perfumes, etc., in one small group on the counter; and coordinate towels into one or two colors only. Take down, pack away, or rearrange pictures and objects on walls, patching, touching up or repainting the walls if necessary. Make sure the household trash isn’t full or smells, and if the interior or exterior trash cans do have a scent wash them out with a bleach solution. Clean windows, window sills and sashes. Pack up and store extra things, if there is too much that can’t be thrown away or donated get a storage unit. Leave on certain lights during the day that showcase how light and bright particular rooms are. For night showings insure all interior and exterior lights and lamps are turned on. If there are darker spots in a room, get a lamp to brighten them up. Set some background music, playing light music for all viewings at low volume. New lighting fixtures are a quick way to create ambiance and an updated look. Sellers should certainly avoid lighting fixtures that look like brass or faux brass, as those generally look like contractor grade fixtures that were installed in most newer homes in the 1980s. More contemporary choices of brushed nickel or chrome finishes serve as nice inexpensive updates. Rust and oil-rubbed bronze are gaining in popularity as more home owners set out to have lighting that doubles as an accent feature. Be sure to use lighting to highlight special features, for example pendant lights to show off a kitchen island or sconces to illuminate a foyer. Under-cabinet lighting in the kitchen is affordable and makes countertops sparkle, especially if the countertops are granite or faux granite. Fluorescent light strips tend to be more affordable and easier to install than puck lights. Go natural. Open those blinds, wipe down and clean your windows. It's amazing how much a simple window cleaning will instantly improve natural light into your home and make it brighter, as well as looking outside with a much higher degree of clarity. This is another inexpensive project to hire out, or it just requires some sweat equity with great results. Save on energy costs. Compact fluorescent bulbs remain the go-to choice for energy efficiency. Early CFLs didn't always deliver on light quality or convenience, but they now come in warm, neutral, and cool colors, and major manufacturers are now enclosing the spiral tube in a conventional bulb shape. Don't forget the basement. One of the biggest problems with basements is generally a lack of adequate lighting. While natural light flow often can't be altered without great expense, adding lights will create a sense of open space on a par with the rest of the house. When painting your walls, paint with an opaque color so natural light will appear much brighter. Door hardware is easily overlooked, but important too. As lighting fixtures are being upgraded, don't neglect your door knobs, hinges, and door stops; especially if you have contractor grade, or dated hardware, or if your doorknobs are chipped or flaking with missing or broken door stops. This is likely one of the easiest and less expensive updates a homeowner can do to achieve a more contemporary look and feel for their home. Replacing your front door with a nice new upgrade and new handle will help differentiate your home from your neighbors, showing greater pride in ownership. One of the first thing a potential new buyer will notice is your front door and handle as they enter your home to look around. Painting with only a few gallons can go a long way in making a home more appealing and clean, and the cost is very low. Covering a 12-by-12-foot room with two coats may cost about $50 to $100, including supplies. Neutral colors are always optimal to provide buyers an idea of what they can do with a space, and those colors will also appear to make rooms larger. Use darker or trendier colors for accent walls or to highlight details such as a fireplace or an arched doorway. In order to bring depth to a long hallway, try painting the wall at the end of the hallway a different shade than the others. Shine with sheen. Using a flat or matte finish is difficult to clean and shows scuffs, while increasing the sheen can brighten rooms; eggshell or satin bounces light off walls to make spaces seem larger. Semi-gloss, which is higher on the sheen level, is a good option for kitchens and bathrooms as it's easier to clean. Gloss is the shiniest of all, and is best utilized for big "statement" areas, such as the front door. Be careful with gloss paints as they may accentuate flaws, so use them sparingly. Create monochromatic harmony. Use different variations of the same color throughout the home. Choose a color card, which usually has about three or four similar hues, and use two or more colors from the single card; creating a layering effect throughout the home. Use the lighter colors in the main living areas and darker shades for the rooms that branch out, such as the bedrooms. Paint the baseboards white. Don't use stark white, which can absorb gray tones against some wall colors, but use antique white or Navajo white as better options. If the home has dated stained-wood trim, simply painting it off-white can also bring it up-to-date, but be sure to not forget using a primer first. Mechanical room is often the least visited and forgotten room in the house. But guess who will think it's very important? The individual purchasing your home, as there's potentially a lot of money at stake contingent upon how things look and are operating in there. Clean any debris or dust from your hot water tank and furnace, and make sure you have a new furnace filter installed to insure it shows and operates at its best during the inspection; as the cleaner those components look the better maintained they'll appear. From a maintenance perspective, it's always good news to have your maintenance reports available for prospective buyers. Having a qualified HVAC technician clean and service a furnace is an inexpensive exercise, and this activity provides a clean bill of health that will go a long way in making a new buyer feel comfortable with that component. Concentrate on big impact rooms, be selective about what you do and where. Kitchens and bathrooms remain the top Cost vs. Value places to invest your time and resources, generally offering a return of about 70%, while replacing the garage door and adding a wood deck will return about 80% as a comparison that maximizes Cost vs Value. Go neutral. Don’t introduce too much color into the home. Owners don’t want buyers to see too much bold color on cabinets and walls and have a conversation among themselves noting they have nothing to go with red, as they will likely have a hard time seeing past any bold color. Stay neutral with walls, cabinets, and fixtures; and bring in splashes of colors through accessories. Consult an expert. A professional stager or remodeler can work within your budget and pinpoint where best to invest your dollars to maximum effect. Know when inexpensive won’t work. Certain projects simply can’t and shouldn’t be done cheaply, especially in a high-end home. If an owner is looking to sell their luxury home, replacing a vanity with an off-the-shelf product from a big-box store isn’t going be a proper match, and buyers will be able to tell that something was done cheaply. Same scenario applies for nice window blinds and treatments, be sure to replace quality with quality to retain and insure the integrity of the home and pride of ownership. If quality is being replaced with economy, buyers will recognize the switch and question what else has been done on the cheap as well, which may invariably result in newfound concerns over cutting corners on home system maintenance. Find inspiration. For ideas on design guidance, take a look at catalog’s or websites from Pottery Barn, Restoration Hardware, or Williams-Sonoma. Anything seen in there will be fairly consistent with what the average buyer will be looking for and find pleasing to their eye. Plan your budget. Even small projects can carry a premium if a contractor is needed for installation. In order to save on labor costs, group your work, gathering several projects into a full day’s work instead of hiring projects out piece by piece. Complement the homes architecture. If you own a two-story colonial style home, avoid overly contemporary updates, such as stainless steel countertops for example. Likewise, if the exterior is modern or contemporary, stay away from traditional styles such as dark wood or classic lighting fixtures. The outside of your home is where buyer first impressions are made, and a buyer will understand the attention to detail and pride of ownership that owner has for their property upon first setting eyes upon it from their car. A favorable first impression will draw a buyers mindshare to the property and open their mind to positive thinking about the property and how they can imagine themselves living in this home; whereas a negative first impression may sour their thought processes as they're touring the interior. Instead of thinking about where they can see their furniture and how they can transition the property into their own, they may fixate on gutters full of overflowing debris, a rotten trim board or peeling paint while walking through the property, missing much of the purpose behind the tour in the first place. Clean exterior door and all lights. Birds like to nest or sit in or by exterior lights, make sure they’re clear of any nesting materials and droppings; and insure any cobwebs or dead bugs haven’t gathered around the lights or eaves. The glass should be clean so the light bulbs shine brightly. If you have the same contractor grade lights as everyone else in your neighborhood, have them replaced to showcase your properties individuality to enable it to stand out from competitive properties that are on the market; especially if they’re in the same neighborhood. House numbers should be seen easily from the street, make sure no numbers are missing and that they aren’t blocked or covered by tree limbs or bushes. Clean windows that sparkle from the outside well certainly sparkle from the inside. Make sure all screens are in good repair and in place, if a window or screen has failed or is broken now would be the right time to replace it. Also if a bush has overgrown to the point where it’s blocking the view from a window, now is the time to trim it back. Large bushes look good under front windows, but be sure that their height doesn’t grow above the bottom ledge. Landscaping is important that’s a great reflection of pride of ownership. Insure all yard debris is raked and cleaned up, trees that have overgrown or have dead limbs have been pruned, and trees or bushes that have died have been removed. If a garden is present make sure it hasn’t transitioned into a weed farm or a part of the lawn, and put down fresh mulching material where applicable. With lawncare, during the growing season weed control fertilizer should be used a few weeks before photos are taken and the property is officially on the market to insure a green, lush, and healthy look; make sure the lawn is maintained and freshly cut and edged. Clean gutters are important and very easy to clean if a ladder is available. Gutters that are full of leaves and branches will eventually rot out and may present problems to the roof and fascia. If tree limbs overhang close to or on the roof or siding have them pruned back. Fences should be in good repair, if a section is leaning, broken, or missing boards have them repaired. It’s rather common to have irrigation systems leave fences with fan patterns also, consider having your fence stained to have those patterns removed. Garbage cans and recycle bins should all be stored out of site. There’s nothing worse than having garbage cans in your photos or greeting prospective buyers out front upon their arrival. Any and all debris, discarded wood scraps, extra building materials, or large items no longer in use that are broken or damaged should be neatly stored in the garage or, if applicable, take to the dump or have a special pickup scheduled by the refuse company to have them removed. Clear patios or decks of all small items, such as little planters, flower pots, charcoal, barbeques, toys, etc. The cleaner and neater the appearance the more useful and large the space will appear. Check the condition of the paint on your home, especially the trim and the front door. If there are any rotten trim boards now is the time to have them replaced while exterior painting is being completed. Roof checkup is important, with the high winds and hailstorms we experience it’s always a good idea to have your roof inspected by a reputable roofing contractor to insure you don’t have a roof that needs to be replaced. If an inspection notes damage, contact your insurance agent to have an adjuster come out and take a look to verify any damage and review any potential roof replacement options. A buyer will have the roof inspected during the contract process, and if damage or the need to have the roof replaced is identified then that fact will most certainly have to be negotiated at that time. Getting in front of and resolving any high cost issues prior to going to market will assist with marketing the property to prospective buyers, turning liabilities into competitive and pricing advantages over the competition. Wondering what your property is worth? We’ll provide you a free Comparative Market Analyses that will detail an estimate of your property's go to market price, review recently sold neighboring homes, and provide detail as to your local real estate history and current trends. It’s always good to know if there are any unpleasant “Gotcha’s” in your home before it’s placed on the market. When a home is placed on the market and prepared for showings, sellers will want to insure it’s in the best condition as possible, and that includes maintenance condition as well. A home that is optimized for showings will likely attract a potentially higher sales figure and a greater amount of Buyers to walk through it. An increased amount of Buyers that see a home likely increases the opportunity of receiving a Purchase Offer quicker. It’s always important to understand before going to market-certainly before an offer is accepted- that there are no large and costly potential issues that will be discovered during the Buyers Inspection Objection phase of the sales process. A Buyer will almost certainly have a Home Inspection completed on the property to insure the home is in good condition. Having a home tested before going to market allows for time to take corrective action on your own terms without the pressure of a looming Closing deadline. Think of these tests as inexpensive insurance against any expensive or unpleasant surprises once the home is under contract. Once a problem is identified and understood, corrective action can be implemented or sales pricing expectations can be remodeled; contingent upon the completed correction a higher sales price may even be supported. There are several partners who can perform these services that we can refer you to. 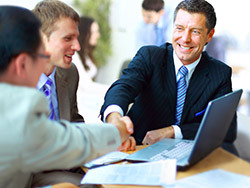 Our partners can also quote, manage, and mitigate any issues they identify for you. Home Inspections are great ways to identify potential maintenance and service areas in the home before being placed on the market. They may also identify areas of concern that may require further professional evaluation, service, repair, or replacement from an electrician, roofer, plumber, or HVAC technician for example. Insuring your home is maintained and serviced to high standards, with a minimal punch list of items to address by a potential Buyer, will certainly assist in attracting a buyer and encouraging them to present an offer to you. Pride of ownership is also recognized in maintenance and servicing of the home and all its variable systems. A clean, well maintained home with recently serviced systems (fireplace, furnace, hot water tank, a/c, sump pump…) and a minimum amount of items that require attention for a new owner to absorb or manage is very appealing to buyers. It’s a great competitive differentiator for a home over a neighboring property on the market, and will likely assist in streamlining the sales process to a faster closing. Any building, large or small, is essentially a group of complex engineering systems bundled together. Significant effort goes into designing and constructing structures with separate electrical and plumbing systems, heating and cooling components with their distribution systems, the foundation, walls, flooring, roof and so on to then perform as a single housing solution together. Due to the complexities of these variable systems by themselves and working as a cohesive unit, various things are bound to fail or not quite perform as originally intended over time. This is especially true if maintenance is ignored or put off over time, or if systems are abused or damaged over the lifetime of the structure. Perhaps the different systems and components interact with each other in ways unforeseen and in a negative fashion. Sometimes these problems are minor, and sometimes they can be significant costing hundreds or even thousands of dollars to correct. Worst of all, some minor problems can escalate into major problems if left uncorrected or remain unknown. With a thorough property evaluation, Sellers can find out what the “state of health” is of their property, and take proactive corrective action to correct any identified issues before going to market. 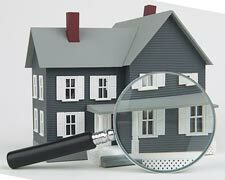 It’s always preferable to avoid any unpleasant surprises and potentially expensive negotiations by understanding preemptively the status of the home being sold, as a Buyer will complete their own home inspection and may discover issues that are expensive or sensitive to them from their report. Ideally the goal is to have a Buyers home inspection report be as benign as possible for the age of the home being inspected. It should be well maintained, serviced, and clean with the report noting those facts; further reinforcing the Buyers decision as a positive one to purchase the home and move forward with closing. 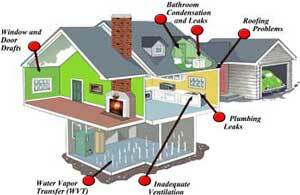 Inspectors will check the roof, basement, heating system, water heater, cooling system, structure, plumbing, electrical, insulation, appliances, building interior and exterior, decks, and many other aspects of the structure. They look for improper building practices, those items that require extensive or minor repairs or maintenance, items that are general maintenance issues, as well as fire and safety issues. However, a home inspection is not technically exhaustive and does not imply that every defect will be discovered. A home inspection report will make note of any health and safety issues, as well as potential large capital expenses that should be addressed before going to market. It will also likely identify a punch list of small repairs/improvements that can likely be completed over a weekend by visiting your local hardware store. Radon is a cancer-causing, naturally occurring radioactive gas that can’t be seen, smelled, or tasted. Radon is estimated to cause many thousands of deaths each year due to breathing air containing radon, which can cause lung cancer. In fact, the Surgeon General has warned that radon is the second leading cause of lung cancer in the United States today. Only smoking causes more lung cancer deaths, if you smoke and your home has high radon levels, your risk of lung cancer is especially high. 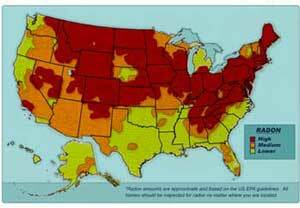 Radon can be found all over the U.S. Radon is the result of the natural breakdown of radioactive elements in our soil, rocks and water; which then gets into the air we breathe. It can get into any type of building — homes, offices, and schools — and result in a high indoor radon level. You and your family are most likely to get your greatest exposure at home, where you spend most of your time. You should certainly test for radon, as it’s highly likely that your Buyer will test the home for Radon levels when they have their home inspection completed. Testing is the only way to know if you and your family are at risk from radon, and testing is inexpensive and easy. Contact us for referrals of companies that can complete a radon test for you. You can fix a radon problem. Radon reduction systems work and they are not very costly, some radon reduction systems can reduce radon levels in your home by up to 99%. Even very high levels can be reduced to acceptable levels, contact us for referrals to companies that can mitigate high radon levels to below EPA approved levels. 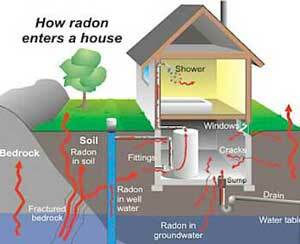 How Does Radon Get Into Your Home? Radon is a radioactive gas, it comes from the natural decay of uranium that is found in nearly all soils. It typically moves up through the ground to the air above and into your home through cracks and other holes in the foundation, radon from soil gas is generally the main cause of home radon problems. Your home traps radon inside, where it can build up; any home may have a radon problem. This means new and old homes, well-sealed and drafty homes, and homes with or without basements. Understanding the condition of the underground sewer drain line and knowing the extent and location of a particular problem will be a key part of your decision in purchasing a home. There are several defective conditions that may exist-even in newer homes and not just older homes with clay pipes- that you'll want to understand and have corrected before you purchase your home; otherwise significant out of pocket expense may be the result should one of these conditions exist in your home after closing. Low Areas: also known as a 'belly', these low areas can collect water and solid waste, causing poor flow through the pipe and can lead to back-up and damage to the pipe as it sags further. Offsets:on some older piping, sections in the piping can separate, causing an offset in the piping to occur. Solid waste may not clear this offset, and waste water will seep into the surrounding soil, causing further settlement and eventual breakdown of the piping. Tree Roots:small gaps in sections of piping can allow tree roots to enter the sewer line. As the roots grow, the pipe can break and crack, requiring repair. Minor tree root intrusion can be rooted and cleared on a regular basis, with minimal or no significant pipe damage. Assessing the amount of root intrusion is part of a sewer scope inspection. Debris:Occasionally construction debris or other items can become lodged in the sewer line, preventing the flow of waste through the pipe. If your home was built before 1978, there is a good chance it may have lead-based paint. In 1978, the federal government banned consumer uses of lead-containing paint, but some states banned it even earlier. Lead from paint, including lead-contaminated dust, is one of the most common causes of lead poisoning. Lead paint is still present in millions of homes, sometimes under layers of newer paint. If the paint is in good shape, the lead paint is usually not a problem. Deteriorating lead-based paint (peeling, chipping, chalking, cracking, damaged, or damp) is a hazard and needs immediate attention from a certified professional. Lead is a naturally occurring element found in small amounts in the earth's crust. While it has some beneficial uses, it can be toxic to humans and animals causing negative health effects. 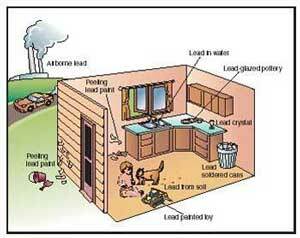 Lead can be found in all parts of our environment - air, soil, water, and even the inside our homes. Much of our exposure comes from human activities, such as the use of fossil fuels including past use of leaded gasoline, some types of industrial facilities, and past use of lead-based paint in homes. Lead and lead compounds have been used in a wide variety of products found in and around our homes, including paint, ceramics, pipes & plumbing materials, solders, gasoline, batteries, ammunition, and cosmetics. Lead may enter the environment from these past and current uses. For more information, be sure to reference the Environmental Protection Agency's website for additional reference material, and be sure to review the EPA pamphlet Protect Your Family From Lead In Your Home. Molds are part of the natural environment, and they are everywhere just waiting for the right conditions to thrive. Outside, molds play an important part in nature by breaking down dead organic matter such as fallen leaves and dead trees; they are vital to the natural decay process and are needed. Indoors is naturally quite another story where we all prefer that mold growth should be avoided. Mold spores can lay dormant through extremely inhospitable conditions, all mold needs is a source of moisture and for food to exist within a wide temperature range (between about 40° and 115° F) and mold will begin to grow. Building materials provide a source of food for mold, when the moisture content reaches 19% mold will grow and reproduce by means of tiny spores. These spores are invisible to the naked eye and float through our air indoors and outdoors. Mold may begin growing indoors when mold spores land on surfaces that are wet. There are a wide variety of molds, and none of them will grow without moisture. Molds are usually not a problem indoors, unless mold spores land on a wet or damp spot and begin growing. Colonies of mold will establish within 48 hours, so if you have water damage, or soaking of building materials, it must be cleaned and dried within 48 hours to avoid any potential mold issues. When the moisture is dried up or removed via a repair, mold will no longer grow. When moldy materials are damaged or disturbed, spores can be released back into the air where people, pets and air currents spread spores. Molds have the potential to cause health problems, as spores-both dead and alive-can cause allergic reactions. Molds produce allergens (substances that can cause allergic reactions), irritants, and in some cases, potentially toxic substances (mycotoxins). Inhaling or touching mold or mold spores may cause allergic reactions in some sensitive individuals. Allergic responses include hay fever-type symptoms, such as sneezing, runny nose, red eyes, and skin rash (dermatitis), allergic reactions to mold are common. Allergic responses may be immediate or delayed, molds may also cause asthma attacks in people with asthma who are allergic to mold. In addition, mold exposure can irritate the eyes, skin, nose, throat, and lungs of both mold-allergic and non-allergic people. Symptoms other than the allergic and irritant types are not commonly reported as a result of inhaling mold, and research on mold and its health effects are current and ongoing. For more information, be sure to reference the Environmental Protection Agency's website for additional reference material, and be sure to review the EPA pamphlet A Brief Guide to Mold, Moisture, and your Home.